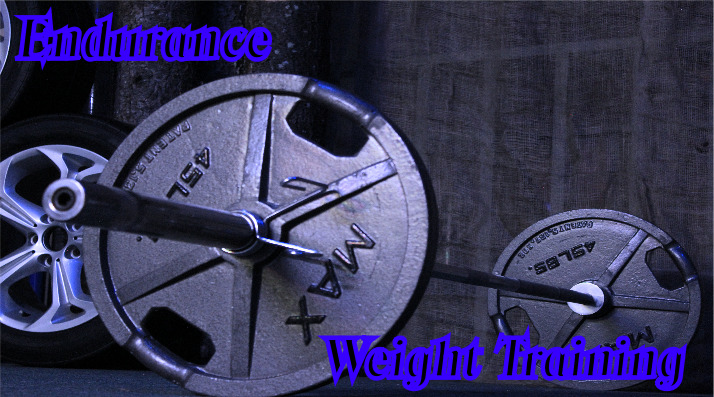 I have created a great list of old school, common intermediate free weight training exercises. This super-feature includes a weekly training schedule in which you can group these exercises into. A lot of these exercises focus on the training dynamics of compound/multi-joint exercises. 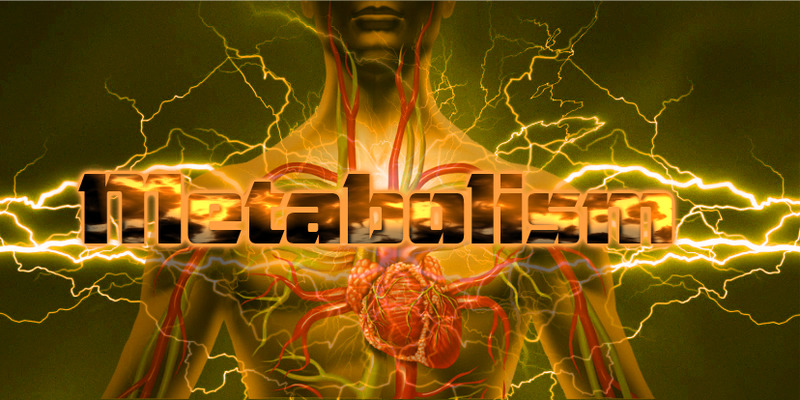 Providing greater potential of (Growth Hormone) release, (equating to increased size and strength gains) aimed at this level. But… this is only if you’re intensity and form is being challenged with each set from the exercises you choose. Feel free to inter-change the exercises, or the weekly routine to fit your goal and lifestyle. Even though I show a variety of exercises for each body part, I would suggest at the intermediate level, of picking no more than (Three) exercises for 3 - 4 sets from each body part list for larger muscle groups, and 2 – 3 sets per exercise for smaller body parts. Training exercises have been listed in order of importance, meaning: the best muscle mass and strength builder’s that release the most 'growth hormone', are listed at the top of each body part section. The ones that fall under these are also highly beneficial, rounding out weaknesses while increasing your strength curve in each given body part. Be sure to assess your physique to see which muscle groups are weak or strong, and prioritize the weaker ones that you feel need it the most. Whether your trying to increase your strength, muscle mass for general fitness and athletic performance, or increasing strength and efficiency towards your favorite sports-its all here. The intermediate free weight training exercises are also set up for serious intermediate bodybuilders as the exercises are broke down into body part exercises with a full weekly schedule. Always start every work out by thoroughly warming-up and stretching before you go into the intermediate exercises. Flat barbell press: Sets 3 Reps 8 – 10, works the mid-and overall Chest cavity as well as the front Shoulders and Triceps. Using a wider than shoulder width grip, movements should be fluid touching the chest with each rep, avoiding a lockout at the termination point of each rep.
Flat dumbbell press: Sets 2 – 3 Reps 8 to 10, works the mid-inner and outer central, Pectorals. Flat bench exercises predominantly build and strengthen the entire Chest and front Shoulders, provide a full stretch in the bottom end, as you bring the dumbbells together at the top squeeze the chest on each rep.
Flat bench flys: Set 2 – 3 Reps 8 to 10, flys work the inner and outer Chest. With elbows slightly bent, lower the dumbbells into a deep stretch, pushing the dumbbells up with a smooth action, creating an arc just over the central part of the chest, allow the dumbbells to touch before returning). 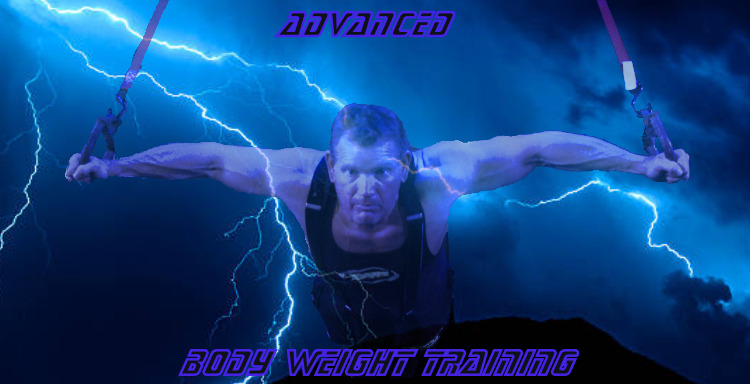 Flat flyes provide shape and define more muscle tone, to your Pectoral development. Incline barbell press: Sets -3 Reps 8 – 10, works upper Pectorals and front Delts. This exercise focuses attention on increasing size and strength in the upper Chest and front Delts. Incline dumbbell press: Sets – 3 Reps 8 – 10, works upper and inner Pectorals. Dumbbells allow for a longer range of motion and a deeper stretch in incline movements. Allow the dumbbells to provide a full stretch next to the shoulders, driving the bells upward as you reach midpoint begin bringing the bells together, pause and squeeze at the termination point of each rep.
Incline flyes: Sets 2 - 3 Reps 10 - 12, works upper and inner Pectorals and front Delts. Free weight training exercises like flyes, add shape and definition to muscle size in the upper Pectorals. With elbows slightly-starting at the bottom in a deep stretch, pull the bells up, imagine hugging a barrel and squeezing at the top of each rep at the termination point. Decline barbell press: Sets 3 Reps 8 - 10, stimulates lower pectoral development. Decline movements predominantly ease some stress off the Shoulders, focus is on the lower, outer pectorals, use a wider than shoulder width grip touching the barbell to the lowest part of the Pectorals with each rep. Parallel bar dips: Sets 3 Reps 8 – 10, this works lower Pectorals, Shoulders and Triceps. (Dipping is not easy, but...this exercise does pay big dividends if you include it often enough, keep your legs back, lower deep into the exercise, then drive-up, if you can only get a few reps don’t worry, keep trying, you’ll get stronger). Decline dumbbell press: Sets 2 - 3 Reps 10 - 12, this exercise works the lower, inner/outer Pectorals. Dumbbells allow versatility of movement that the barbell does not. Stretch the chest cavity in the bottom end of the exercise, bring the dumbbells together at the top elbows slightly bent and contract momentarily. Barbell curls medium grip: Sets 2 – 3 Reps 8 - 10, works the mid-and inside biceps. Hands shoulder width apart, ‘don’t heave the weight’; keep the back and Shoulders straight, make the Biceps do the work, don’t allow the barbell to come to the Chest, keeping tension on the Biceps, (focus on the movement). Wide grip barbell curls: Sets 2 – 3 Reps 8 – 10, this works the inside of the Biceps. Assume a wider than Shoulder width grip will target the inside head of the biceps, keep the movement the same as you would with a regular barbell curl, keeping the barbell back 6 to 8 inches from the Chest at the top of the exercise keeping tension on the biceps. Seated alternating dumbbell curls: Sets 2 -3 Reps 8 – 10, works the mid/inside Biceps. This exercise works the middle and inside of the Biceps, be sure to 'supinate', turning the dumbbells inward at the top, keep the movements fluid, use the same speed for lifting and lowering on each rep. Preacher curls performed with EZ bar: sets 2 – 3 Reps 10 - 12, lower biceps. The middle and lower portion of the Biceps take the brunt of the effort here. With free weight training exercises like preacher curls; try to allow the Biceps to stretch in the bottom while contracting at the top of each rep.
Hammer curls French press bar: Sets 2 - 3 Reps 8 - 10, works the outside biceps. Hammer curls predominantly stress the forearms, Brachialis and outside head of the Biceps, as you perform each rep, keep the focus on the outer biceps. Standing dumbbell hammer curls: Sets 2 Reps 8 - 10, works the outside of the Biceps. With hammer curls stimulation is generally felt in the brachialis and outside Biceps, commonly giving an appeal of wider thicker looking biceps. Note: Try to work the Biceps from different angles to stimulate both inner and outer heads. Parallel-bar Dips: Sets 2 - 3 Reps 8 – 10, this exercise works the inside Triceps and Shoulders. As mentioned: body weight Dips can be toughies to perform, try your best, keep the trunk and legs straight, with knees bent to keep from swinging. Lower as deep as you can, push back out squeezing the Triceps on each rep.
Flat narrow grip bench press: Sets 2 – 3 Reps 8 – 10, works Triceps, Shoulders and Pectorals. Overhand grip 5 to 8 inches apart, this exercise stresses the overall Triceps, Pectorals and front Delts. Keep your elbows close to your sides to keep tension on the triceps and less on the front shoulders. avoid locking out at the top). Seated dips: Sets 2 – 3 Reps 8 - 10, works inner and outer Triceps/front Deltoids. Using a bench/chair, add plate weight to increase resistance if needed, seated dips use a lot of Shoulder and Triceps strength, lower into the exercise for a deep stretch in the bottom, drive up and squeeze the Triceps at the top of each rep.
Triceps cable push downs: Sets 2 – 3 Reps 10 – 12, this exercise more-less isolates the mid-to-outside of Triceps. Push-downs isolate most of the stress to the outside of the triceps, keep the elbows tight to your sides, try to avoid coming past 90° with the forearms, then fully extend and squeeze. Arguably one of the best intermediate free weight training exercises, this works the entire body, particularly the Quads, Shoulders and Glutes. Lower to parallel with the floor, drive with quads through your heels, try not to lockout the knees at the top. Angled leg press: Sets 3 Reps 10 – 12, focuses on the lower quadriceps closer to the area of the knee. This is a great alternative to squats: foot position determines what part of the Quads your training, a ‘V’ stance, works the inside, feet pointed straight-ahead works the middle and outside of the Quadriceps. Machine hack squats: Sets 3 Reps 8 - 10, this works the quadriceps at the lowest part surrounding the knee. Vary your toe position, meaning: moving the toes in or out slightly to place different emphasis on the inner and outer Quads, this is a great exercise for carrot shaped legs. Barbell lunges: Sets 3 Reps 10 - 12 per leg, stimulates the Quads and Glutes. With a barbell behind the neck, take a large step forward with one leg at a time to feel a full stretch, keep the toes ahead of the knee as you lower down. You can alternate each leg, or do all 10 to 12 repetitions with one leg, then finish with the other. Leg extensions: Sets 3 Reps 10 - 12, primarily works and isolates lower, around the knees of the Quadriceps. Again: vary your toe position inward and outward on the foot-pads. This allows you to feel the movement in different parts of the Quadriceps, give a good contraction at the top of each repetition. Machines make life easy: so, keep the tension on the legs. Dumbbell walking lunges: Sets 2 – 3 Reps 10 - 12 (per leg) primarily work legs. Lunges primarily work the Quads, Glutes and higher on the leg Biceps, lunges create a deep stretch, try not to allow the knee to travel past the toe and pushing out of each lunge with the quads. Barbell stiff-legged dead lifts: Sets 3 Reps 8 – 10, works rear legs, back and shoulders. Stiff-legged dead lifts are one of the great classic free weight training exercises, this compound movement really stretches the rear leg Biceps or “Hamstrings”, use a under/overhand grip and allow for a full stretch in the bottom, using the shoulders, upper back and hips, to do the pulling. Dumbbell stiff legged Dead lifts: Sets 2 – 3 Reps 8 – 10, stresses the rear leg Biceps. Dumbbell dead lifts are another variation of free weight training exercises that provides a deep stretch to really stimulate the Hamstrings as well as upper back, avoid standing straight at the top, once you've broken into your first rep; keep the tension continuous on the Hamstrings with the Shoulders throughout the exercise. Lying Leg curls: Sets 3 Reps 8 - 10, leg curls emphasize the lower and mid area of the leg biceps. You can vary your toe position inward and outward on this movement, directing the attention to both inner and outer areas of the rear leg Biceps. Try to keep your pelvis on the bench, as you curl the weight up. Squeeze the Hamstrings momentarily at the top, avoid allowing legs to rest at the bottom. Again, it’s about constant tension. Bent over T-bar rows: Sets 3 Reps 8 - 10, works the Lats, Biceps and Rhomboids. Keep your upper back and Shoulders straight, allow yourself to be bent over, but not hunched over. Pull the weight to the upper stomach maintaining good form and a full stretch on the return of each exercise. Bent over barbell rows: Sets 3 Reps 8 - 10, works the lats, rhomboids and Biceps. This is classic multi-joint free weight rowing exercise, as with all rowing exercises, be sure to keep the Back and Shoulders straight, not hunched over. Trunk should be parallel with the floor, pull the bar to your upper Abdominal's and release). Bent over dumbbell rows: Sets 3 Reps 8 - 10, stresses the Lats, Biceps and Rhomboids. Keeping the knees slightly bent, palms facing to your rear move the dumbbells simultaneously, as high as you can to the sides of the rib cage, keep the movements smooth and apply a deep stretch with the dumbbells at the bottom on each rep). These types of free weight training exercises develop strength and thickness in the upper and mid back; they are undisputedly great exercises. Wide grip chins: Sets 3 Reps 8 - 10, works the extreme outside of the Lats/Rhomboids, Biceps and Traps. Chinning is toughie for some men and women, as it is a bodyweight-based exercise. This exercise is great for developing outer back width and higher inner back, detail. Seated cable row: Sets 3 Reps 10 - 12, works upper and lower Lat tie-ins and Biceps. Again: with all intermediate free weight training exercises like rowing; a full stretch of the lats is imperative for new growth to occur, think yoga master in the stretch, and weightlifter as you pull the weight back. These exercises build upper back strength and thickness. Wide grip cable lat – pull down's: Sets 3 Reps 10 - 12, stimulates outer back, Rhomboid, Trap and rear Shoulder development. You can perform this exercise, pulling to the front or rear, pulling the LAT bar to the rear of the neck stimulates the rear Delt’s, Trapezius and inner back. Pulling the bar to the upper Chest stimulates the outer back, rear Delt’s and Biceps). Barbell close grip upright rows: Sets 2- 3 Reps 10 - 12, works the highest part of the Traps next to the neck. To properly stimulate the Trapezius keep the movement of this exercise, fluid and constant, allow the barbell to fully stretch at the bottom, then pulling the bar to almost chin height. Barbell shoulder shrugs: Sets 3 Reps 8 - 10, this stimulates the mid and highest area of the Traps next to the neck. Hands shoulder width apart, arms straight, raise the shoulders towards the ears, this builds strength and mass across the rear Traps and entire Shoulder girdle. Cable rope pulls: Sets 2 - 3 Reps 10 -12, free-hand free weight training exercises like rope pulls: are still a great movement for adding height to the rear upper Traps. With this movement you can apply an over or underhand grip to the rope as seen here: bring the rope to the upper chest or throat, pause momentarily, and squeeze the Traps at the contraction point. Balance the movement of the weight with your own, by leaning back. Seated Smith machine press: Sets 2 – 3 Reps 8 – 10, stresses the rear Delts. With a one hand width grip past the Shoulders, bring the bars resistance down behind the head, close to the middle of the neck, press the weight up, try to avoid locking out at the top . Barbell clean and press: Sets 3 Reps 8 - 10, works the front and rear Deltoids, this is one of the best Shoulder - free weight training exercises there is for increasing strength and Shoulder development. With an over-hand grip slightly wider than shoulder width, pull the weight from the waist to the Shoulders (rotating the wrists at this point), and drive the weight up to the termination point. Note: don't 'heave', pull and push! Seated dumbbell presses: sets 2 – 3 Reps 8 - 10, both the front and rear Delts receive stimulation from this exercise. Be sure to lower the dumbbells to Shoulder height, drive the weight up, try not to lock out; allow the ends of the dumbbells to touch but not clank, stay in control of the exercise, while keeping the tension constant). Note: be sure to always warm up the shoulders well, before you start into your regular maintenance sets. Seated dumbbell simultaneous laterals raises: Sets 2 – 3 Reps 10 - 12, lateral raises for the most part; work the medial or lateral area of the Deltoids. Free weight training exercises such as: seated laterals naturally put most weightlifters at a disadvantage, you don’t need a lot of weight to stimulate the lateral area of the Deltoids with this exercise, keep your movements smooth and fluid, lifting the dumbbells to just barely above Shoulder height). Standing Calf raises: Sets 2 – 3 Reps 10 - 12, works the mid-to upper Calves. On all Calf exercises drive through the balls of your feet and toes, extend as high as you can, to get the most benefit at the top end of this exercise). Angled leg press calf raises: Sets 2 - 3 Reps 10 - 12, works the entire Calf muscle, more specifically up-higher towards the back of the knee. Seated calf raises: Sets 2 – 3 Reps 10 – 12, this works the underlying muscle of the Calf, the Soleus. Use a full range of motion, allowing the Calves to fully stretch, driving up on the toes to complete the extension, applies the most pressure towards continuing Calf development. The calves need to start at a full stretch, then extend up to their highest point, and held momentarily. The calves are used to being walked on everyday, but they’re not used to a full extension and contraction at each end of the daily Calf movement. Saturday Sunday Off, Enjoy The Weekend! Don't overdo it in the beginning. If you're not use to this increased, challenging work load, give your body time to adapt and condition itself. Bigger body parts can stand more stress or exertion like Chest, Back and Legs, but ultimately take longer to recover. Smaller muscle groups like arms, Traps or Shoulders etc., don't have to be trained at the same volume as the bigger body parts. 3 to 4 sets for bigger body parts, Chest, Back, Legs etc. Rep ranges of: 9 to 12 for hypertrophy, increased muscle size and an elevated pump. Rep ranges of: 12 to 15 are more commonly for conditioning and endurance. You may also want to use these exercises to simply; strengthen and condition your physique for an active fitness lifestyle or for sports related reasons. Whatever your goal is: the exercises work well if you add the intensity. All the lifters shown throughout the intermediate free weight training exercises article; are all drug-free lifters: this is to give you a fair and honest training perspective. If your eating properly, being consistent, staying focused on your intensity and apply this to your goal: you will get everything out of these free weight training exercises you want. If you have questions about the movements or exercises go to contact me. good luck, and never let fear stop you.